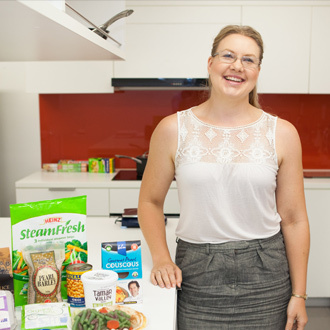 An accredited dietician, Rebecca Stiegler is passionate about maintaining good health and nutrition. But she knows there is no one-size-fits-all approach to good health, 'What will work is a ‘whole family’ approach to nutrition, it has to be practical and easy to incorporate into your lifestyle.' She says the best bit of the Baker IDI Wellness Plan is the recipes, 'There are so many great food ideas that are simple and that the whole family will love'.